Thanks for your patience, I've been a bit under the weather this week and things have gotten away from me. How is it Thursday already? 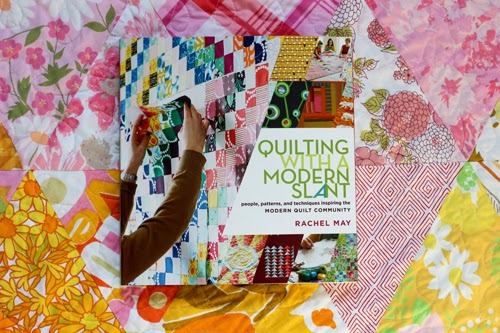 The winner of the Quilting with a Modern Slant book giveaway is #237, Kristin! Congrats! Hello, bringing Hugs+Good Wishes from Jan @ Sew+Sow Farm Blog! Congrats to the winner. I got to your blog by way of Jan's blog Sew and Sow Farm! I hope you are feeling better now!